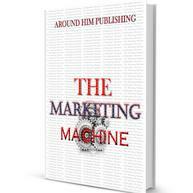 We offer the fastest turnaround, the best service, and the most freedom and value of any publisher. We are here to help you achieve your goal as a published author. By following the instructions in this book, you will be able to quickly prepare your work, submit it to us, and, as a published author, reap the benefits of being alive in the age of information. How to profit from your book. Learning about market place ministry building relationships that help spread the gospel. 100 steps to market your book Services to assist authors with selling their books. Follow the journey of three men, as each makes the transition into the next stage of his life. Their ability to accept and honor change will directly affect the lives of one another. Aaron, a misguided teen, who gets caught up in a lifestyle that's not his own. He faces the daily struggle of trying to blend in, when he was called to stand out. Lucious, the young entrepreneur and newly wed. Each decision in his life was apart of a meticulously detailed plan. He is forced to confront unscripted circumstances in his otherwise well planned life and Dr. Taylor, Chairman of the Deacon Board. Because he is a man of great wisdom and humility, he inspires the hearts and minds of many. Despite this, his greatest fear is the thought that he may have failed as a father. Their lives are forever changed by their newly developed relationships with God and each other.